I had the good fortune to spend a week at East End Lodge on Grand Bahama with Elliott Adler, a writer for The Drake Magazine and the “Podfather” of the DrakeCast. We are separated by about two decades, but the gap narrowed on the bow of a skiff and we got on well. 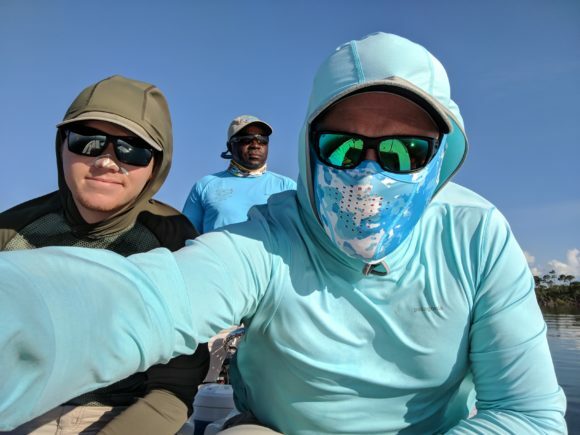 This was Elliott’s first bonefishing trip and he did very well, being a good caster and a generally fishy guy helped him come up to speed quickly. Here’s a short interview with Elliott on his first bonefishing experience. We got to spend a week fishing in Grand Bahama for bonefish. What stands out from that trip? Are there one or two moments that replay in your head? Having never really fished a saltwater flat before, this entire experience was pretty novel for me. The first thing that struck me was the layers of the horizon. This hit before I grabbed a rod. We were out on these flats where the water went from navy blue to turquoise until it hit a bright white sand bar, then behind that was a thin band of green mangroves, then the sky, then the cathedral of clouds, until finally directly above us would be blue sky. This is a classic image of the Bahamas which has been featured on the cover of probably every fishing magazine but it was still pretty breath-taking to experience in person. 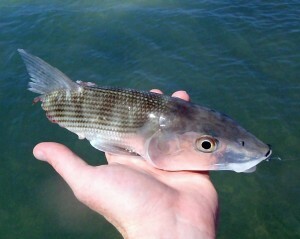 While the focus of the trip was bonefish, I had just as much fun catching every other species out there. Between the two of us we probably landed 3 species of snapper and maybe 5 others that I can’t recall. Each one was new to me and they all put up a better fight than the average trout I encounter. Our guide Cecil really made the trip. I remember him saying something along the lines of “clients don’t come back to these lodges because of the management, they come back because they had a good time with the guide.” I whole heartedly believe this to be true. Without him I would have had a real tough time landing my first bonefish. But much more important than that, he was just really fun to be around. 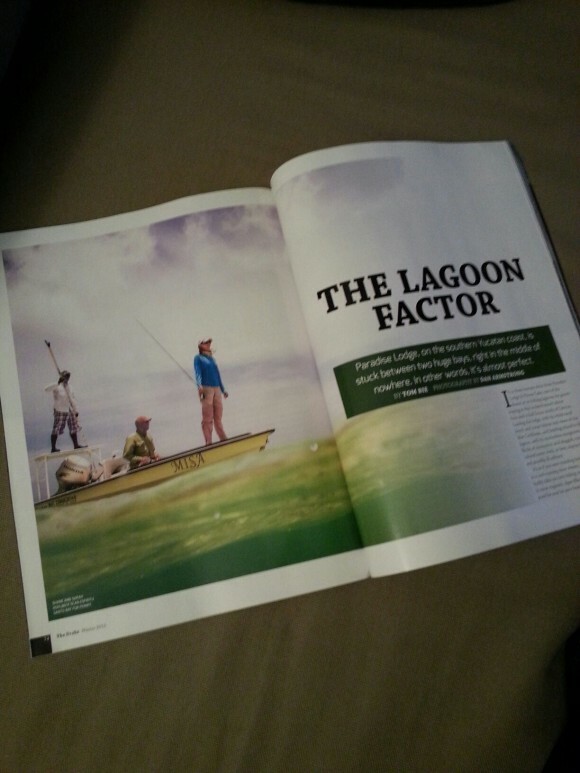 Great attitude, told good stories, and gave really frank on-the-record answers to my questions about environmental damage over the past 30 years and other problems in the Bahamas even though he knows I work for a fly fishing magazine. A lot of lodge owners and guides won’t do that out of fear of harming their livelihood. How did bonefishing live up to or fail to live up to the hype? I had always heard bonefishing was about stalking a fish and then that initial run once you get them on the reel. Almost like a positive reenforcement for putting in the hard work and making the right cast. I had a couple fish that made my reel scream and I’ll definitely remember them, but in both of those cases the guide did most of the work for me, which made the reward less sweet. So in those cases the hype seemed to be a bit overbuilt. What got me the most excited was walking the flats on my own trying to put it all together by myself. I managed to land a couple fish without any assistance. They were both small but those will be the most memorable fish of the trip and that individual aspect will be what makes me come back in the future. What were your impressions of the Bahamas? In short: Great people, great food, great fishing. You don’t want me to go into my thoughts on the economics of the place. What’s something you learned from Cecil in our week of being on the water with him? I relearn this every time I fish with a guide, but it’s always good to be reminded how well many guides know their water and the time and dedication it took for them to gain that knowledge. Cecil was one of the more dedicated fisherman with whom I’ve had the pleasure to share a boat. Is there a blown shot you’d like to have back? If so, describe it. I missed so many shots that its hard to pick a single one, but the first fish I threw at sticks out. Maybe it’s because this was the first bonefish I had a chance at catching, or maybe it’s because 40% of its back was out of the water, but I think that was the biggest fish I saw. Of course I landed the fly right on its back and the thing spooked immediately. On a positive note, that fish really grounded me in the flats fishing mindset which was necessary and probably helped me for the rest of the week. Elliott with a solid East End Lodge bonefish. 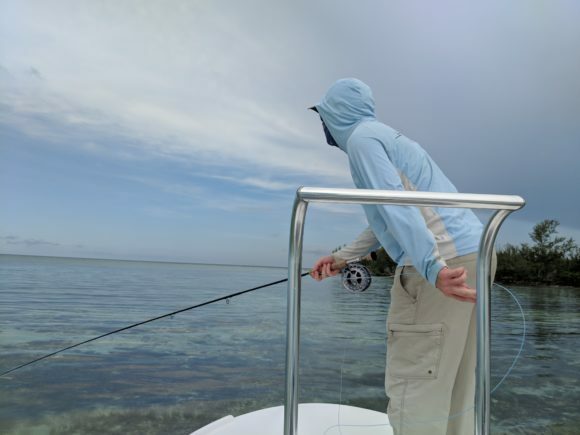 Bonefish… great fish, or the greatest fish? 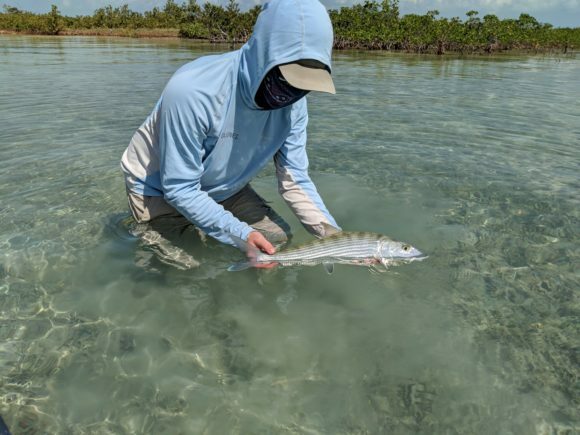 There’s no doubt that bonefish are a great fish, but calling it the greatest would be premature. There are so many incredible species I haven’t even seen. So the jury is still out. Besides that, steelhead still probably hold the #1 spot in my heart. It was nice being on the water with you Elliott. I hope our paths cross again. You can check out Elliott’s podcast , The DrakeCast, from our week together here. When I went to Grand Bahama last month I was joined by Elliott from The Drake, who happens to put out The DrakeCast, a solid podcast you should be listening to. Here’s the episode he put together about our trip. Did you know The Drake has a podcast? It is called The Drakecast and it is totally worth a listen. I really love the format… the story telling… the way you are brought into the stories by the audio. I think you’ll love it. 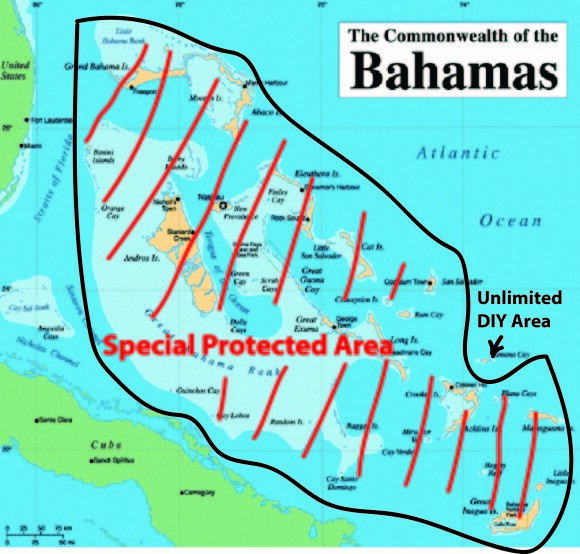 A great satirical look at the Bahamas situation came out in The Drake’s on-line incarnation. I feel honored to have been mentioned for the small role I’ve helped play in keeping people informed. See, that’s funny because it sounds a lot like the Unguided Angler areas proposed by our pals over at the BFFIA. It seems on the surface of things that they are not going to get their way with their long list of power-grabbing proposals. At least, ya know… on the surface. Is that pre-spawn aggregation points or is that every easily accessible flat on Long Island, Acklins, Crooked, Eluthera and Cat? Basically, is this the Unguided Angler areas in different packaging? Maybe this is everywhere but good ole Singray Lagoon, more or less. The warm cozy feelings are being replaced by the paranoid questionings as I’m starting to really want to see a map of what they are talking about. What do you think? Am I being paranoid here? Got the winter edition of the Drake and I was happy to see my friend Shane (and his wife) in there smacking some fish down in Mexico. I got to fish with Shane down in Belize, as well as spending a fair amount of time with him on the Lower Sac, Upper Sac and McCloud. He’s one of the best anglers I’ve ever fished with and has been generous with his time and expertise. Great article, written by Tom Bie, who was also on the trip. They are down in at Paradise Lodge on the southern Yucatan coast and it looks pretty nice. 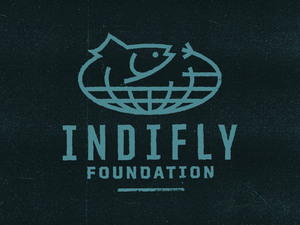 Check it out, if you haven’t already. Best Humor and Film of the Year from the Drake film contest, not a bad set of awards. Here it is.